I don’t remember learning who Danielle Steel was, I just somehow always knew. So did everyone, really. Her books seemed to be everywhere — book stores, libraries, grocery stores, being read on the subway (usually by more than one person in the car). Now that I know a little more about Steel, I realize that “everywhere” is hardly hyperbole. At 68-years-old, Steel has written over 140 books which have sold more than 650 million copies — and that’s not even touching on her oft-updated blog and social media pages. You know those “You Have As Many Hours in a Day as Beyoncé” prints? They need to make one about Danielle Steel. Steel’s newest book, The Apartment, follows the lives of four twentysomething women living together in a New York City loft. Their apartment becomes more than just a place the young women live, it becomes a home to their chosen family and the location of so many of their watershed life moments. It was my first Danielle Steel novel and I’ll tell you something, I couldn’t put it down. Steel spoke with HelloGiggles about her writing process, being pigeonholed as a “women’s writer,” and her beloved doggies. 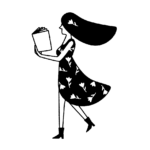 HelloGiggles (HG): You’re such a prolific writer and routinely publish four, five, six books in a year. How do you get so much done? Where do your ideas come from? And how do you know which idea to tackle next? Danielle Steel (DS): I publish six books a year, and I work pretty much all the time, or close to it. I’m very organized and very disciplined (I don’t do anything else until my work is done). I have a very heavy writing schedule, and work on several books at the same time. The ideas come from many different sources, the news, world events, a random subject that interests me, or my imagination. I tackle each idea in the order the ideas come to me. HG: Do you have a writing routine? A time of day you usually write, a place where you get the most work done, a process by which you approach a new project? DS: When I’m writing a book, I start in the morning, and work until I can’t anymore, straight through the night. If I’m just developing an idea, or writing a minor project, then I prefer to work at night when it’s peaceful. I write alone in my office (in whichever house), and don’t want to be disturbed. The process is that I sit in my chair and do it. I normally work an 18 to 20 hour day, whatever I’m doing. When I’m writing I work 20 to 22 hours and sometimes 24. As long as the ideas keep flowing, I write. HG: I read that early in your career, you wrote five consecutive books that did not sell. How did you handle that rejection, and where did you find the self-confidence to keep plugging away at your writing? DS: It’s not about self-confidence, which I don’t have even today. It’s about perseverance and discipline above all, and loving what you do certainly helps. HG: You are a mother of nine children, and when your children were growing up you did your writing in the evening (I assume after they went to bed). How has motherhood impacted your writing, either process-wise or thematically? DS: Yes, I used to write when my children went to bed, when they were small. Motherhood impacts EVERYTHING, not just your writing or your ‘process’, it impacts how you think and how you live, what you do, what you know, what you feel and believe, what you want to say and how you view the world. It impacts and changes everything. Danielle Steel and her daughters. HG: You are such an icon; does your own reputation ever get in the way of your work? Do you ever face writer’s block and, if so, what do you do about it? DS: I don’t see myself as an “icon,” just as a (hard working) person. And fortunately, no one in my family sees me that way (as an icon) either!! I don’t think of my “reputation” when I write, just about the work to be done and how to do it. Does anyone actually sit down to work and think about their reputation?? They must not get much work done!! HG: I’ve often seen you pigeon-holed as a writer for women. What do you make of that, and how do you feel about that kind of label? DS: Pigeonholes are never accurate, except for pigeons. And I feel very fortunate to have a very large male readership. I don’t believe in “labels,” except for clothing. HG: Looking specifically at your new book The Apartment, what was it about this story that made you want to pursue it as a novel? DS: I liked the idea of four very different women brought together by accident (roommates out of necessity, not friendship), the very different directions of their lives and careers, very different origins, and how they become friends and help each other. I like writing about multiple characters, it’s more challenging, and more fun for the reader. HG: The Apartment focuses on four women in various stages of their lives — both professionally and romantically. I did notice that none of your characters engage in online dating, was that a deliberate choice? If so, why? DS: I wrote about online dating in my book 44 Charles Street several years ago, where one of the characters/a young woman is murdered by an online date. I think it’s incredibly dangerous!!! HG: Of all the many books you’ve written, is there one that is closest to your heart? DS: Of all the books I’ve written, the one about my son Nick is closest to my heart, it’s non-fiction and his true story, His Bright Light. Of the novels I write, my favorite is always the one I’m working on at the moment. HG: Our website is read by many young women who are burgeoning writers themselves. Do you have any advice you can give them from your place of expertise? DS: The best advice I can give anyone on any subject, writing or other is: Work, work, work, work, work, work, work WORK!!! Work Hard!! HG: Lastly, I love that on your website there’s a whole page dedicated to your dogs. Can you give us a little introduction to the canines in your life? DS: I do love dogs. In my book Pure Joy, I talk about all of our family’s dogs, with photographs!!! And the best introduction I can give to my beloved Chihuahuas are the illustrated children’s books I’ve written about one of them. The latest one, will be out in May, Pretty Minnie in Hollywood, the one before that is Pretty Minnie in Paris, they’re about a tiny white teacup longhaired Chihuahua who loves to wear pretty clothes. If there is a little girl in your life who loves pretty clothes, sparkles, and tiny dogs — please be sure to give her the Pretty Minnie books. The illustrations are fabulous!!! You’ll fall in love with Minnie!! 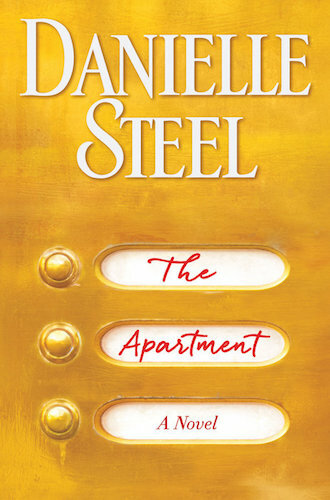 Danielle Steel’s latest novel, The Apartment, is out today.